December 2011. Concurrent Technologies announces the release of its Green Hills INTEGRITY® Real-Time Operating System (RTOS) Board Support Package (BSP) for the TR 80x/39x 3U OpenVPX™ Single Board Computer which features the 2nd Generation Intel® Core™ processor. This combination of high performance processor board and feature rich high reliability RTOS provides a solution that is particularly suited for deployment in applications within the embedded military and security market sectors, where system malfunction would otherwise result in catastrophic failure. This BSP is developed, supplied and supported directly by Concurrent Technologies. INTEGRITY® is a RTOS for use in embedded applications demanding the highest level of availability. INTEGRITY® provides deterministic real-time performance while guaranteeing security and reliability through its memory augmentation policy. 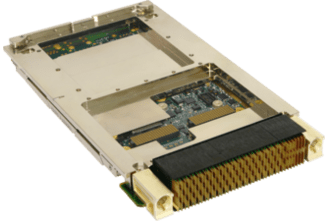 The TR 80x/39x is a 3U OpenVPX™ processor board providing support for quad-core or dual-core 2nd Generation Intel® Core™ processors with up to 8Gbytes of ECC DDR3 SDRAM and configurable PCI Express® fabric interface supporting Gen 1 or Gen 2 data rates. The board provides a wide range of I/O interfaces including dual Gigabit Ethernet or dual 1000Base-BX channels, dual SATA600, a serial RS232/422/485 port, dual USB 2.0 ports and independent VGA and display ports. A single XMC slot is also available to further increase the I/O capability of the board through the introduction of XMC modules from Concurrent Technologies’ range of products or third party boards. Rugged and non-rugged variants of the TR 80x/39x are available to ensure the board is suitable for a wide range of applications and environments.